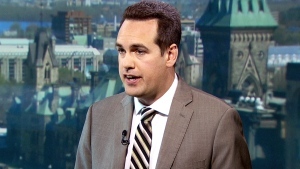 MP Erin Weir speaks to CTV's Question Period Host Evan Solomon. OTTAWA -- Saskatchewan MP Erin Weir is bolstered by the outcome of his anti-harassment training sessions and hopes his former party, the New Democrats, will have him back in time for the next election. The rookie MP was removed from the NDP caucus after an unsuccessful attempt at mediation following an investigation into harassment allegations. According to a copy of a letter to the House of Commons Chief Human Resources Officer (CHRO) provided exclusively to CTV News by Weir, he “gets it” and is “unlikely” to find himself in a similar situation again. Now, Weir tells CTV’s Question Period host Evan Solomon in an exclusive sit-down interview that he wants back in with his former party. Weir has sent a copy of the letter to NDP Leader Jagmeet Singh in hopes he’ll reinstate him or allow him to run under the party banner in 2019. “I believe that this independent report from the trainer provides a good basis for reinstatement,” Weir said. Weir was removed by Singh in May after a third-party investigation by University of Ottawa law professor Michelle Flaherty found one substantiated claim of harassment and three substantiated claims of sexual harassment. More broadly, the report found that Weir failed to pick up on non-verbal cues in social settings. At the time, Singh said this resulted in "significant negative impact to the complainants." Though, once told his advances were unwanted, Singh said Weir stopped. Specifically, according to footnotes on the letter, the independent probe investigated six complaints, some of which were sustained, while others were not. As previously reported, one complaint stemmed from a confrontation Weir had with a party staffer at the 2016 Saskatchewan NDP convention over his desire to speak about the regional impact of the federal government’s price on carbon. These findings weren’t the reason for his removal. 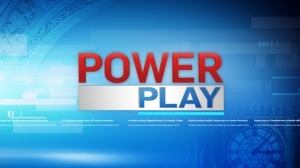 Rather, Singh said Weir’s ouster was because he felt mediation wouldn't be possible because of Weir's decision to speak publicly about the third-party investigation launched against him and the allegations that came to light as a result. The initial concerns about Weir were brought to caucus in an email from fellow NDP MP Christine Moore, who alleged women, including NDP employees, had complained to her about Weir’s alleged behaviour. Moore has since found herself at the centre of her own independent investigation as the result of alleged inappropriate conduct related to a sexual encounter with a veteran in 2013. Moore has denied the man’s claims and has said she intends to pursue the matter in court. Singh told reporters at the time that he was previously prepared to allow Weir back in caucus if he took responsibility and completed anti-harassment training. However, his media appearances and the way he spoke about the process made that approach "untenable," Singh said, as Weir demonstrated he was not ready to take responsibility. "In his actions, in his comments, Mr. Weir made it clear he did not accept responsibility for what the inquiry found to be a fact. He, in addition, attacked someone who had come forward with a complaint. He’d also released details which could identify the individual. All of this makes it clear that a rehabilitative approach is no longer possible," Singh said. Despite no longer being a member of the party he was elected to represent, Weir went ahead with the training, meeting with Noonan on two occasions: May 8 and May 23. Over the course of these meetings, according to the coach’s letter, the pair discussed the situation, including “his personal characteristics … that might need to be ‘toned down’ now, given his choice of career,” citing his size, voice, and gestures. They also worked on improving his ability to notice social cues. “The trainer really helped me to understand how some of these misunderstandings might have happened … she really gave me some good techniques and things to pay attention to, to avoid any sort of misunderstanding in the future,” Weir said. With the permission of Singh, Noonan was able to review the independent investigator’s report. She says in her letter that the facts were as both Weir and Singh described them as to the nature of the complaints and that as the independent investigator stated the objectionable behaviours were on the “less serious” end of the spectrum. According to the letter, Noonan’s services were recommended to Weir by Singh’s chief of staff Willy Blomme, via the CHRO Pierre Parent’s office. Weir said the House of Commons paid for the sessions. Now, Weir, who represents the Co-operative Commonwealth Federation (CCF) in the House of Commons, wants back into the NDP and hopes Singh will reconsider his position. “I’m a lifetime member of the Saskatchewan NDP, so of course I’ve always wanted to participate as a member of the federal NDP caucus,” said Weir, noting that he feels a sense of “responsibility” to put himself forward as an NDP candidate in the province given the party being shut out of the province for a decade federally. “I also recognize that I have some fences some mend and that this is ultimately Jagmeet’s decision,” Weir said. For now, Weir said he is not considering legal action over his ouster. “I’m cautiously optimistic about being reinstated as a member of the federal NDP caucus,” he said.